The Millennium Orchard, now also called the Community Orchard, which is approached from Brookfield Walk off Northern Way, was planted in 2000 with 60 cider apple trees. Clevedon Town Council, owner of the plot of land, had invited Fred Quinney, their volunteer Tree Warden and founding chairman of the Clevedon Woodcutters for Wildlife, to procure and plant cider varieties with a Somerset provenance. The trees were obtained from Thornhayes Nursery near Cullompton. The early years were plagued by vandalism and a number of trees had to be re-placed. In 2011 the tenancy of the orchard was transferred from the Woodcutters to Transition Clevedon who were looking for a green space to care for and in which to hold community events. 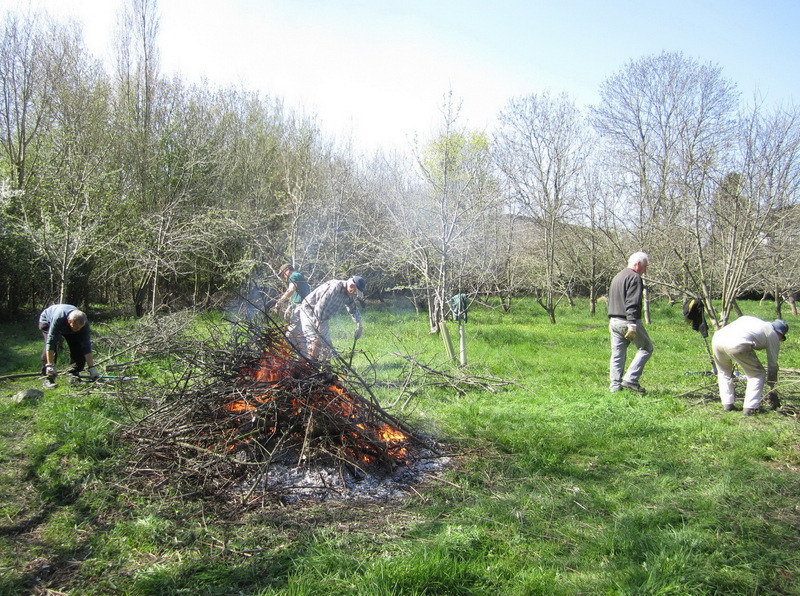 Since then, the Woodcutters have continued to help Transition members with orchard maintainance. 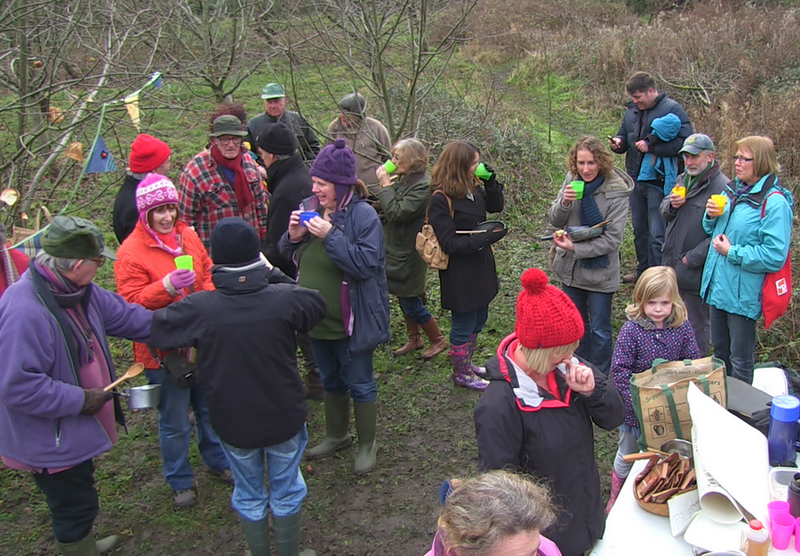 In 2015 the two groups came to an official agreement to share responsibility for its care – the Woodcutters taking full responsibility for orchard management and Transition for coordinating social events such as wassailing, blossom viewing, apple picking and picnics.